Baseball’s regular season is just around the corner and now its time to preview the 2012 National League Central Division. There’ve been a ton of story lines throughout the 2011-2012 offseason that helped shake up the baseball world and should be interesting to how they play-out in the future. Before the season starts, I wanted to break down each division and examine what I feel will happen with each team in the future. Milwaukee Brewers: What a crazy offseason for the reigning National League Central Division Champions. After the Brewers were eliminated from the playoffs last season by the division rival Cardinals, soon after the madness began. First, in early parts of the offseason, the Brewers decided to sign former Cubs third baseman Aramis Ramirez to a 3 year deal and just about signaling the end of Prince Fielder era in Milwaukee. A few days later, a major story broke that 2011 league MVP Ryan Braun had tested positive for a banned substance, leaving the baseball stunned. The Brewers were shocked and left in a difficult situation as the face of the organization was apart of one of the ugliest cases in baseball history. If that wasn’t enough for the Brewers, reliever Francisco Rodriguez surprisingly decided to accept the salary arbitration that the Brewers offered him a few months before. This might become a problem later in the season as K-Rod felt that he, and not current closer John Axford should have been the Brewers closer. Like last year, this is a situation that baseball fans around the league need to monitor as if Rodriguez becomes angered with being the set-up man again, it could lead to a distraction to the team and the Brewer organization. The final part of the off-season for the Brewers ended on a positive note when Ryan Braun won his appeal and his 50 game suspension was lifted. The Braun situation will be a topic of debate throughout the season and one that everyone in baseball will watch throughout the baseball year. If Ryan Braun and the rest of the Brewers can leave the distractions off the baseball field, they should have a nice season and will be a contender once again for the division title. St. Louis Cardinals: Only one team has had a more tumultuous offseason than the Brewers; the St. Louis Cardinals. St.Louis started the offseason by celebrating their 11th World Series Championship and were optimistic about signing Albert Pujols in the future. First, a few days after winning the world series, long time manager Tony La Russa decided to retire as manager of the Cardinals and left the city of St. Louis in shock. About two weeks later, the Cardinals decided to name former Cardinals catcher Mike Matheny manager of the team, even though he had no previous managing experience. Then, as the winter meetings were about to conclude, on the morning of December 8th, news broke that 3-time National League MVP, and quite possibly the best first baseman of all time Albert Pujols decided to go west and sign with the Los Angeles Angles of Anaheim. The city of St. Louis and the baseball world was stunned and couldn’t believe one of the greatest players of all-time decided to leave the organization. Unlike the rest of the league, the Cardinals realized they had to move on and started the post Pujols era by signing All-Star Carlos Beltran to a two-year deal. As for next year, the Cardinals will have pitcher Adam Wainwright return to the rotation after they lost him to Tommy John Surgery for the entire 2011 season. The Cardinals will feature one of the best rotations in baseball this year with Chris Carpenter, Adam Wainwright, Jamie Garcia, Kyle Lohse, and Jake Westbrook along with a solid offense with Berkman, Holliday, Beltran, Molina, and Freese. St. Louis still has a competitive team and should be a contender in the NL Central Division. Cincinnati Reds: The Reds have decided to go for it all this year and quietly have been one of the busiest teams this offseason. The Reds offseason started by trading pitchers Edinson Volquez and first baseman Yonder Alonso along with others for Padres Ace Mat Latos. The Reds then decided to bolster their bullpen by trading for former Cubs reliever Sean Marshall along with signing closer Ryan Madson. Cincinnati sould have a solid offense in 2012 as it features 2010 NL MVP Joey Votto, Brandon Phillips, Scott Rolen, Jay Bruce, and Drew Stubs along with a rotation lead by Latos, Johnny Cueto, Mike Leake, Bronson Arroyo, and wild card Aroldis Chapman. With Joey Votto’s contract almost up (signed through the 2013 season), the Reds know they have two seasons to “go for it all” before they might lose Votto to free agency. 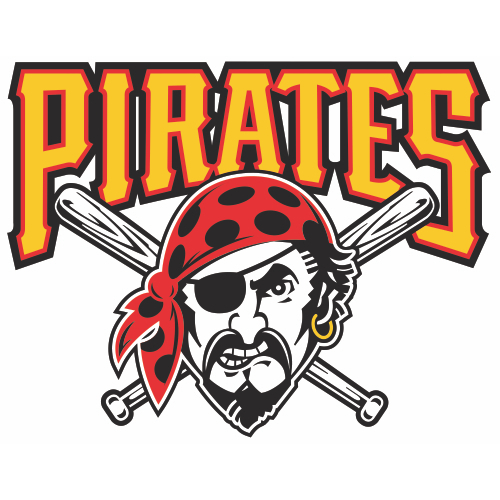 Pittsburgh Pirates: At one point in July, the Pirates, (yes, the Pittsburgh Pirates) were in first place in the NL Central before having one of the worst second half records in the league. The Pirates had a quiet off-season (only significant moves were trading for A.J. Burnett and Casey Mcgehee) as the organization decided to build around the young draft picks they accumulated throughout the year. The Pirates core includes: Pedro Alvarez, Andrew McCutchen, and Jose Tabata along with having a great deal of prospects in their minor league system in system headlined by pitchers Jameson Taillon, Gerrit Cole, and Stetson Alllie to go along with outfielder Starling Marte and infielder Josh Bell. The Pirates have a great young core for the future but as for the 2012 season, they will most likely once again finish apart of the bottom half of the NL Central Division. Chicago Cubs: The Cubs had a tremendous amount of pressure on their hands this offseason after deciding to part ways with former General Manager Jim Hendry. At the start of the off-season, the Cubs decided to go about their search in a private manor and came away from the search by hiring Red Sox general manager Theo Epstein as the president of baseball operations for the organization and Jed Hoyer as the General Manager. After the signing of Epstein and Hoyer, the Cubs were then able to move froward as they then decided to relieve Mike Quade as manager of the Cubs. After a lengthy managerial process, the Cubs decided to hire Milwaukee Brewers hitting coach Dale Sveum as the manager of the organization. The Cubs then decided to sign outfielder David Dejesus to a two-year contract with the Cubs to play alongside Marlon Byrd and Alfonso Soriano in the outfield. The Cubs then decided to make a few trades as they traded on of the biggest distractions in all of baseball (Carlos Zambrano) to Miami for Chris Volstad and acquired Anthony Rizzo from San Diego for Andrew Cashner. Chicago has a nice minor league core that features Rizzo, Brett Jackson, Trey McNutt along with others. The Cubs might not win the division this year however, I do believe the Cubs will play a better brand of baseball and become a much smarter baseball team. Houston Astros: The Astros are entering their last season as members of the National League Central because next season they will move to the American League West Division alongside Oakland, Los Angeles (Angels), Seattle, and Texas. For the Astros, I feel they made the correct decision by trading both All-Star outfielders Michael Borun (Atlanta) and Hunter Pence (Philadelphia) and allowing the rebuilding stages to begin in Houston. The Astros do also have a few nice young pieces with Brett Wallace and Chris Johnson along with veteran Carolos Lee (whose is a free agent after the 2012 season). If Lee has a nice first half of the year, the Astros might look to trade Lee along with pitchers Wandy Rodriguez, Brett Myers, and Brandon Lyon at the trade deadline and acquire even more assets for the future. Houston might not be ready to win this year, but like other teams in the NL Central, the Astros will stockpile good draft picks and eventually become a contender again.